As announced recently, we have provided 2 pages of links. One contains links to businesses selling art materials and the other to manufacturers of art materials. We hope they will be of interest to our club members and any other artists who are interested in discovering new materials or replacing existing ones. Please email us with any comments you have or leave them below. 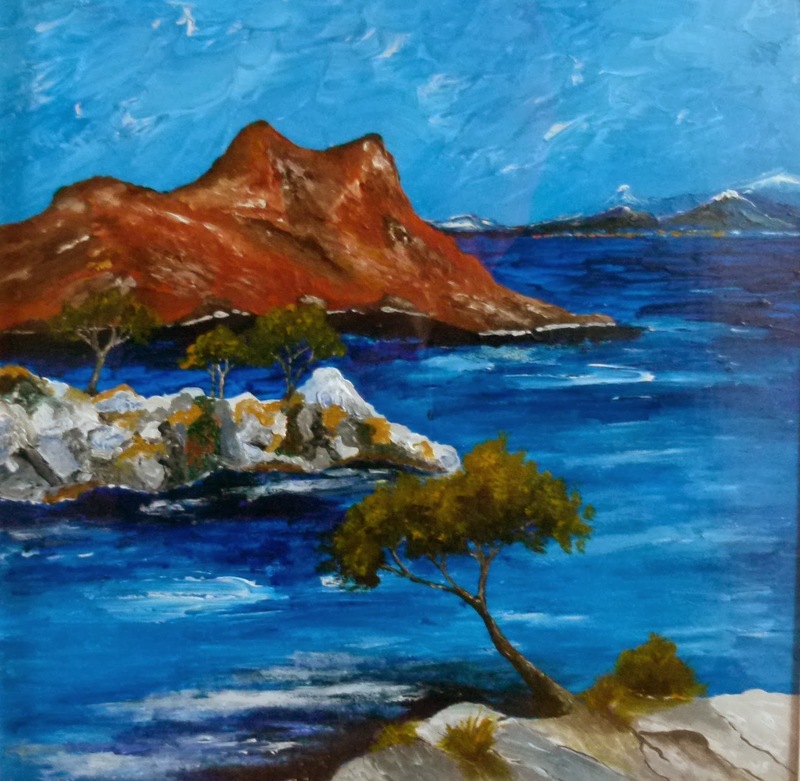 While perusing these goodies here is "Calanque", an acrylic on paper by one of our club members. We always welcome new members of all abilities. Why not come along and give us a go? We look forward to seeing you there!